[Catherine Penna, soprano.] 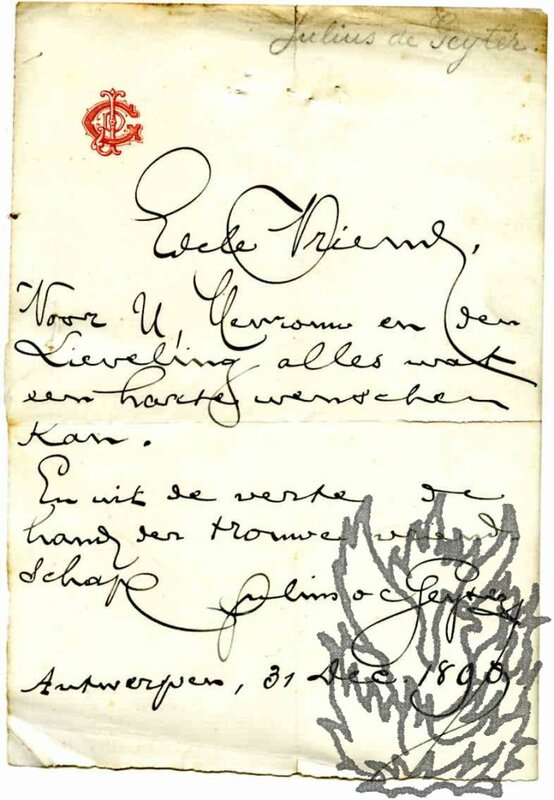 Autograph Letter Signed to '- Wilkinson Esq', accepting an engagement at the Brighton Aquarian, on the reverse of two pages of printed 'eulogistic criticisms' of 'Miss Catherine Penna'. 38 Marylands Road, St Peter's Park, London, W. 1 October . Letter and printed text both on a 12mo bifolium. In fair condition, lightly aged and worn. Letter: 2pp., 12mo. Docketed with stamp of the Brighton Aquarium. She writes that she is 'happy to accept an Engagement for a Saturday Concert at the Brighton Aquarium as Principal Soprano' and will do her best 'to meet your terms'. Printed text: 2pp., 12mo. Autograph Letter Signed ('Arthur W Peel') to Yonge, containing a description of the 'procession of working men' to a huge demonstration in Hyde Park. 4 May 1890; on embossed letterhead of the Speaker of the House of Commons. 12mo, 4 pp. Good, on lightly-aged paper. Peel is visiting Yonge's neighbourhood and he begins by describing the planned lodging arrangements. 'Shawford sounds very tempting the only drawback being railway journesy backward & forward.' He thanks Yonge for the 'hospitable' offer regarding staying at Otterbourne: 'whoever be our party I think it would be best not to troube you - best to come over to Otterbourne for lunch or tea as may be agreeable to you'. He will write again once his daughters 'have made up their minds'. 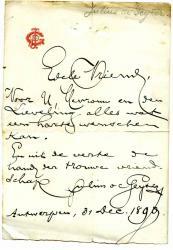 Autograph Letter Signed ('Julius de Geyter'), in Flemish Dutch. 12mo: 1 p. Seven lines of text. Monogram in red in top left-hand corner. On creased and aged paper, with pinholes at head (not affecting text). Scan on request.